How does the designer describe their professional practice using known terminology, and how does these different terms within the design nomenclature relate to each other? Disclosure: This is an edited short topic discussion and annotated bibliography based on an paper written during my studies at RMIT in 2013, it is meant for raising awareness and fuel discussions evolving the visual communication design fields nomenclature. “Graphic Design”, “Visual Communication” and “Communication Design”. Through Graphic Design history, what the designer actually does has evolved to include related fields and new variations as they emerge; whilst still retaining the same title —at a large extent– consistently throughout the graphic design field. Today there are different names used to describe the new Graphic Design profession and there are debates on how the terminology should be used. Some designers, schools and organizations have opted to change the terminology to fit the new description, others have decided to continue to use the old terms and some have stripped down the original term ‘graphic design’ to only ‘design’. All the different names may seem confusing and inconsistent for people on outside the profession. So can we draw any conclusions and figure out how the new terminology relates to each other? From looking at the debate revolving the design profession nomenclature, examining how professionals describe their own profession and from comparing educational institutions course descriptions and names it is possible to get a clearer image of the actual practical use of design nomenclature. Ultimately by looking at this we can set new standards within the professional design communities that will make it clearer for both the professionals, but also the outside world. It will be possible to differentiate professionals from hobbyist designers with clearer names and descriptions, demanding a minimum level of experience and/or education to actively use some terms. Mark Aakhus (PhD, University of Arizona) is an associate professor of communication at Rutgers, The State University of New Jersey. In his journal article about communication as design he goes into detail about the concept of Communication design and looks at the words communication and design in how they relate to each other. It is described in-depth with a heavily academic tone. It helps understand what communication design is and how we can then connect it and relate it to the other terminologies used. “Founded in 1914 as the American Institute of Graphic Arts, AIGA remains the oldest and largest professional membership organization for design and is now known simply as “AIGA, the professional association for design.”” – AIGA n.d. Gives an example of a large organisation that has decided to stop actively use the word Graphic, but still leaving the letter “G” in its acronym. AMBROSE, G. & HARRIS, P. 2009. Graphic design as a discipline. @ The Fundamentals of Graphic Design. Gavin Ambrose (Master of Arts) has worked with graphic design and been the co-writer responsible for the design and layout for numerous books, many through AVA Academia and also works as a teacher at London College of Communication. Paul Harris writes and edits for magazines and journals in both Europe and USA. In the introduction and first chapter of The Fundamentals of Graphic Design he defines graphic design as the graphic designer with extensive knowledge; and may actually be defining what others describe as the Visual Communicator. This can mean that the definitions do not appear as different from each other as other scholars argue. The description that they offer of the graphic designer goes beyond the boundaries of what many others do, and the differences in the definitions offered is important to get the full picture. In the reading it is page 8 to 13 that mostly takes on the definitions, and the rest of chapter one gives further knowledge about what they describe as the graphic designers role. BUSSE, M. n.d. I am not a Graphic Designer @ Industrial Brand. Busse have over 20 years of experience in graphic design and related fields. In his blog post “I am not a Graphic Designer” he provokes for discussion and tries to direct attention to the use of the term Graphic Designer. He questions the actual meaning of the term, but in his description of himself at the website he is still using the term graphic design in an extensive way. This is interesting as to see how experienced designers think and act about the use of varying nomenclature. CHOUKEIR, J. 2011. Defining Communication Design. Choukeir has a Master of Arts degree in Graphic Design from London College of Communication and is currently researching communication design methods for social integration at University of Arts in London. In her article ‘Defining Communication Design’ she defines the concept of communication design by looking at and citing from a list of previous works, among them one of the earliest mentions of the term all the way back to 1983 in the book ‘Messages that Work: A Guide to Communication Design’ by Patric O. Marsh. The article provides a good range of additional sources that speak about the term Communication Design beyond this article and source list. DEGREE DIRECTORY. n.d. What Is Visual Communications? @ Degree Directory. The Degree Directory lists and describes degrees offered at a range of Universities and schools in the USA. This site helps further gather the different terminologies used and how they are described; many designers will define themselves based on the education they receive so this is an important area to start change if needed. FULL SAIL UNIVERSITY. n.d. Bachelor of Science – Digital Arts and Design. As an example educational institution Full Sail University is one of many around the world who offer studies within the topic area; they have decided to call their studies for Digital Arts and Design, however they also offer a study area named Graphic Design, covering the practical skillsets needed for design. Naming and content for study programs can help raise understanding of how naming have developed. HARDSTAFF, J., NORTHOVER, J., SCHULZE, J., ARNALL, T., TWEMLOW, A., LEONIDAS, G., BARRINGER, D. & STEWARD, S. 2011. 20 YEARS OF CHANGE. @ Eye : The International Review of Graphic Design, Issue 80, pp. 68-73. “Once there was a kind of design work that held vocation at its core. Furniture design or graphic design, the bit before ‘designer’ was what you actually made. But contemporary design seems to involve many crafts, with literacy in larger new domains rather than in deep single trenches.” – Schulze & Arnall 2011, Change Through Making, page 70. HELLER, S. 2007. What do we call ourselves now? @ Eye Magazine. Steven Heller has a background of 33 years as Art Director for New Your Times and is an author, co-author or editor of a long range of books. In his article “What do we call ourselves now?” he reflects about different names that the designers have used for themselves and some of his experiences when talking about naming in previous settings. This is really helpful to further understand the changes in both nomenclature and the actual job descriptions. SALDANHA, E. 2003. Are you beyond graphic? @ Beyond Graphic. Errol Saldanha is an Associated Professor at the Faculty of Art at OCAD University, where he also graduated in 1990. He has over 20 years of experience of working with growing brands for entrepreneurial organizations. Beyond Graphic – “Launched in 2003 to encourage debate and review of the professional title of graphic designers”(Saldanha n.d.) Ten years ago, Saldanha wrote on Beyond Graphic about how the term ‘Graphic Designer’ was out-dated and gave the wrong idea of the actual job that is done by a professional in the field popularly named ‘Graphic Design’. His writing is meant for others in the same field and is influenced by his own beliefs about the subject. The text is limited, as it does not use any direct references to other works, only to organizations. He wanted to get rid of the old term and replace it with ‘Communication Design’ because this new term would fit the job description better. It would create a barrier between “software ability”-Graphic Designers and the Communication Designer and ultimately result in a professional title, urging previous Graphic Designers to change what they called themselves to Communication Designers if their job actually fit that description better. 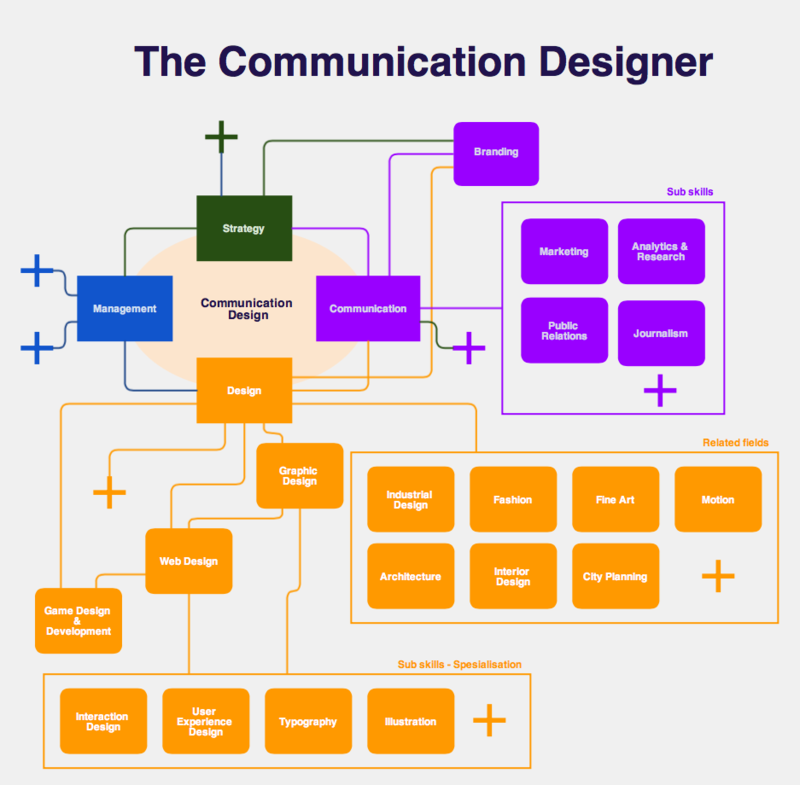 The website defines the Communication Designer at an early point in the debate and gives examples of organizations that since the launch of the website have gone from using the graphic design terminology to the Communication Design term. I 2007 Saldanha launched Communication Designers Association (CDA) “a global non-profit organization that helps organize CD professionals, resources and events in major design cities.” (Saldanha n.d.) Both websites help defining ‘Communication Design’ and the need for different terminology in the professional design world.